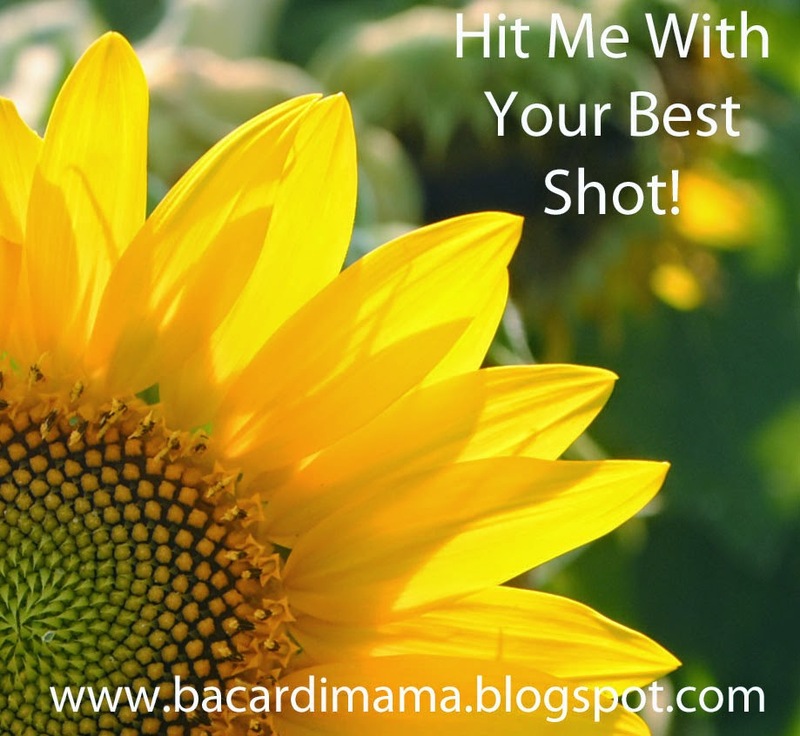 Bacardi Mama: Hit Me With Your Best Shot! We were at my daughter and son-in-law's house for Mother's Day brunch. It was a beautiful, warm and sunshiny day. 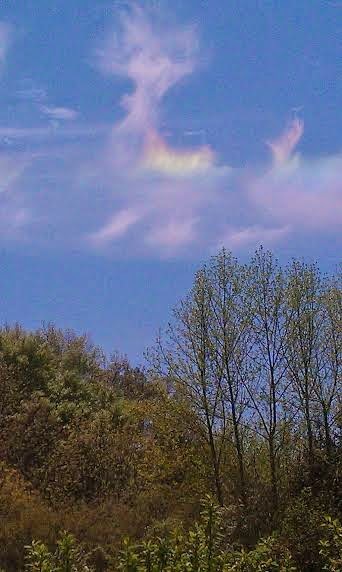 As we sat on the deck, imagine our surprise when we saw these rainbow clouds. I've never seen them before, but they sure were pretty. So, now it's your turn. If you are a blogger, please post your link in the comments. If you aren't a blogger, I will link this to my Facebook page and you can post your picture in the comments. If you don't already follow me on Facebook, friend request me as Nancy Jankowski Collins. I promise I'll accept. Please link my post in your post. Please let your friends know about the photo challenge and invite them to join in. Feel free to share it on any of your social media sites. Be sure and visit the other entries and leave them a comment. You know we all love getting comments. I can't wait to see what everyone else's favorite shot of the week is. That's it for me this week. Now, it's your turn to hit us with your best shot. Fire away!